I dare you to find a better gift for mother’s day than a big soft muffin top. But not the muffin top made by too tight jeans. Muffin tops made by muffin top pans. What’s a muffin top pan you ask? Only the two coolest most amazing pans in my kitchen. IT ONLY MAKES MUFFIN TOPS. Oh, uhm, mmm, nom, nom, nom. What? Oh, right. Being a mom pretty much rocks. Could you and the Moosh be any cuter? No! Omigosh — admittedly, I’m a terrible cook, but I CAN do muffins. WHERE did you find this? I want it! My friend discovered these a couple years back. Heaven in a pan! But, am I the only person who actually likes the whole muffin? I would feel cheated if I only got a top or a bottom. Gimme the whole darn thing, but… I still wouldn’t mind a set of those. Do tell dearie. Happy Mother’s Day sweet one. LOVE the picture of you and Moosh!! Very cute. Mmmmmmmm! Muffin tops! My roomie in college used to get packages of muffin tops (usually they had a few other things, too) and they were SO GOOD! Nicole’s last blog post..Happy Mother’s Day! Happy Mother’s Day you Fabulous Woman! 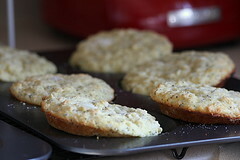 Wow, that is an awesome pan – never heard of just a muffin top pan – I must have one now! Happy mother’s day to you and Tiny Grandma! I hope Cody makes you breakfast, he has the time now, right? Those pans rock! Happy Mother’s Day Casey. Holly’s last blog post..Happy Mother’s Day! That photo of the two of you is ADORABLE! My kids would love those pans, as they only ever eat the tops. What a cool gadget! Kristin’s last blog post..Why I need more coffee. Thank you for clarifying which muffin top you were referring to. Although the muffin top, which my children caused, is the Mother’s Day gift that keeps on giving. Jill’s last blog post..Happy Mother’s Day! That picture is awesome! You and the Moosh are so cute. I’m so glad it was the GOOD kind of muffin tops! Do you just use a regular muffin recipe? They look delicious. Dude- your jump is outta control high! Sweet! Both the muffins AND the being a mommy with the adorable accompanying pic. that is an awesome pan…and yum! Happy Mother’s Day (belated) to you as well! 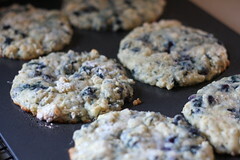 i’m still iffy about muffin top pans. i have them too. ali’s last blog post..why i REALLY need to move…and my mother’s day gifts? shutup shutup SHUT UP!!! i’m getting eight of them RIGHT NOW. 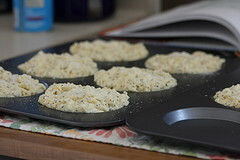 Muffin top pans. Did not know they existed…Must get one at once. that pic was adorable. i mean the jumping one. the muffin top one was quite nice too! muffin top pans…man they think of everything! Mmmm, muffin tops. I celebrated Mother’s Day by making cornbread, not burning it! and then promptly calling my mother to tell her I didn’t burn! the cornbread. For once. Those pans are too cool. Must find them and put them on my wedding registry! Brie’s last blog post..Mission, Possible. I must buy those pans! Hope you had a great Mother’s Day. You guys are TOO cute and muffin tops sound SO good right now. Kimmie’s last blog post..Happy Day! LOVE the photo. And go hybrid!